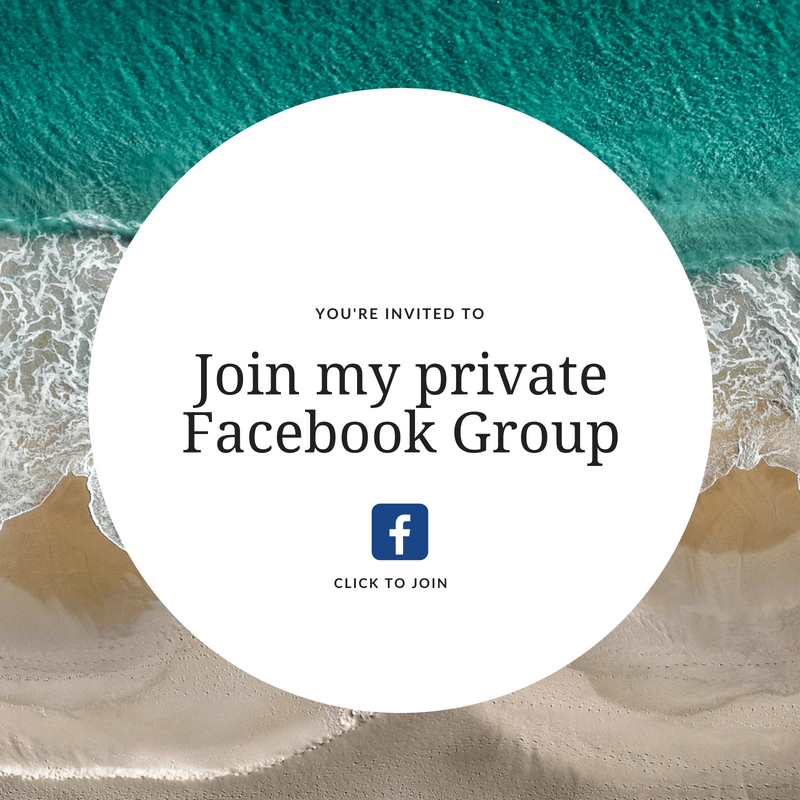 As promised here is part two in my children and technology series and this week we are looking at how to protect our children from the blue light from screens. Just how much screen time is OK for kids? It’s a question us parents continually ask and feel guilty about all the time. 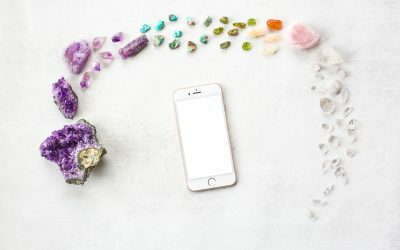 In my view, it depends on many factors and one of them is the artificial blue light that is emitted from technology such as iPads, smartphones, computers and so on. Blue light is one of the most overlooked but arguably the most important and easily remedied factor when it comes to the safe use of screens. It’s often referred to as ‘junk light’ or ‘fake light’ and below I will explain why. Why is blue light from screens a problem? All life on Earth evolved under the sun. The day-night circadian rhythm is what wakes us up in the morning and makes us fall asleep at night. It’s fundamental to all life. We can see just how powerful it is when we travel from one time zone to the next and we are awake at all hours, suffering from jet-lag. Our circadian rhythm is optimal when we spend all day outside and sleep as soon as the sun sets, with nothing more than moonlight, campfires and candlelight to break the darkness. It sounds romantic but it’s far more than that. A synchronised natural circadian rhythm is critical to our health and wellbeing. 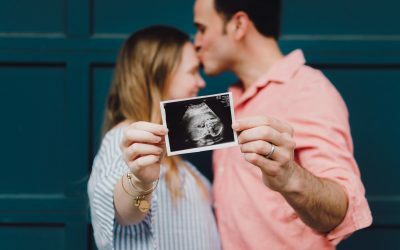 The judges who awarded the Nobel Prize for Medicine even thought so, when they awarded it to ground-breaking research on how a mismatch between our internal biological clock and light affects our wellbeing. So what exactly is all the hoo-ha about blue light? Blue is one of many colours in the visible light spectrum. It has a very short wavelength which means it generates a lot of energy relative to other colours. It makes our sky blue, wakes us up in the morning and lifts our mood. Yet it’s also found in artificial light: screens, TVs, tablets, phones and our overhead lighting. Not only is blue light high in energy but it also flickers a lot creating a glare commonly associated with eyestrain, headaches and fatigue. But there’s quite a difference between the blue light found in full spectrum natural sunlight and artificial light, which is where we run into trouble. Let me explain why. Full spectrum light as found in nature contains all the colours of the rainbow. The mix of colours and intensity gradually change between morning and night. Bright blue in the morning (sunrise) to wake us up and a softer red at night (sunset) to prepare us for sleep. One colour never really dominates the natural light spectrum. There are no dramatic spikes in natural light, it’s all gentle curves. On the other hand, the light spectrum for artificial blue light is spiky because the softer restorative red and infra-red colours have been reduced or removed. Blue light from screens and much of our lighting has four times the amount of blue light you get from the sun. In other words, the high energy wavelengths have turned us all into night shift workers, high on blue light from our screens when we should be sleeping. Natural outdoor light is balanced perfectly. Just like listening to good music, the tones are easy on the ear balanced throughout the ranges from the bass to the higher end. Yet listening to a screeching child or a singer at the high end of the range can be excruciating. It can shatter a wine glass. It’s exhausting and the same goes for high energy blue light, it makes our eyes work really hard. On exposure to artificial blue light, a photopigment in the eye (melanopsin) becomes saturated which suppresses melatonin and inflammation and disease can then set in. Unlike with noise, we often don’t feel the pain until it’s too late and we are struck down with blindness or a chronic disease. Myopia, age-related macular degeneration, obesity, diabetes and Parkinson’s Disease are just a few of the conditions escalating along with the increase in artificial blue lighting, and there is a growing body of scientific evidence linking the two. A healthy circadian rhythm is linked to increased life longevity. It protects you against a myriad of diseases and eye problems including myopia, cataracts and age-related macular degeneration disease. It increases your energy, keeps you slimmer, reduces your risk of developing diabetes and protects you against cancer. Of course, you will sleep like a baby too. Cancer rates are highest amongst those who work at night time. Night shift work has actually been categorised as ‘probably carcinogenic’ by the World Health Organisation. There is an 80% higher breast cancer risk and a three times higher prostate cancer risk for night workers exposed to light all night. Rates of myopia (short-sightedness) are highest in countries where technology use is highest. In most of East Asia, the rates of myopia have doubled and tripled over the last 40 years. In South Korea 96% of people under the age of 25 have myopia. 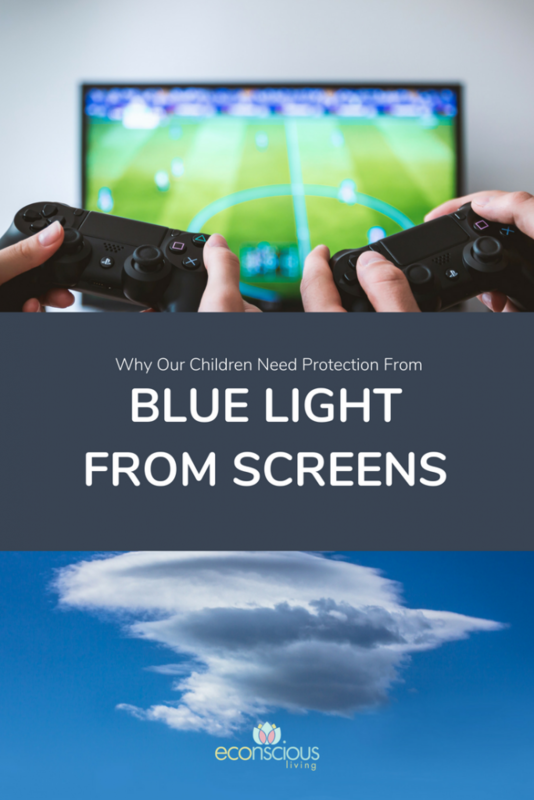 How does blue light from screens affect children? Children between the ages of 8 and 18 spend more than seven hours a day looking at electronic devices and screens. The LED technology in these screens emits high energy blue light waves. It’s not offset by the regenerative red colours that are so visible in nature at sunset. This cortisol spiking blue keeps us awake making us think it is midday when it is midnight. It stimulates our brain, even making us crave food as our brain tries to muster all the energy it needs to deal with this exhausting form of light. Children’s eyes are still developing which leaves them wide open to the negative effects of blue light. Importantly, artificial blue light also prevents us from releasing melatonin at night which is the sleep hormone. If you don’t release melatonin you don’t just lose restorative sleep but also the greatest anti-oxidant and anti-cancer agent we’ve got. Could it be one of the reasons we are seeing massive growths in cancer rates, including amongst children? In short, the blue light from the screens of computers, tablets, TVs and cell phones suppress melatonin which we need for rest and repair during the night and to fight disease and cancer cells. How do we offset this blue light? One way is simply by capturing all the natural light that we can during the day. If you are inside for most of the day, get some natural light before and after school and as much as you can at the weekend. Natural blue-rich light during the day is needed to make melatonin at night. Have you ever noticed how you sleep like a log after a long day in the sun, the sea or camping? We just cannot afford to ignore our light environment. You need to hack everything: your computer screen, phone screen, television, reading lamps and overhead lighting. So here are some simple tips to protect your kids from the blue light from screens. 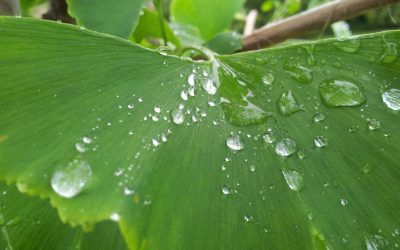 • Get outdoors and expose your eyes to natural light as much as possible. This means without sunglasses. 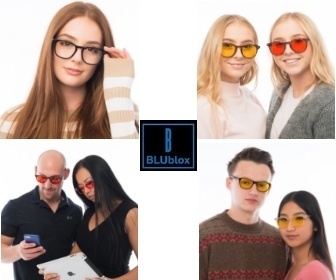 • Wear blue and green blocking glasses after sunset such as those available from BLUBlox, who stock both adult and children’s range and are made in Perth, Western Australia. Do not wear blue blocking glasses outside. Word of warning! There are lots of poor quality blue blocking glasses on the market. Glasses used at night time need to block ALL blue and green light and most don’t. If you already own blue blockers and want to check if they are effective or not use this test as a guide. I went through many glasses before finding some that passed. If you want to play it safe and buy the glasses I use and recommend, use the discount code Econscious at checkout and get 10% off! • Install blue blocking software or filters on your computer screens. I use Iris on my desktop and laptop because I believe it is the best technology out there. They also have a download available for Android devices. It is more complicated to download Iris to Apple devices but it can be done. F.Lux is an alternative and is also very good. • Install a red light filter on children’s smartphones. Here’s the simple hack I use for mine and it’s free. Otherwise, you can buy a blue screen filter such as the Pavoscreen which blocks about 60% of blue light. 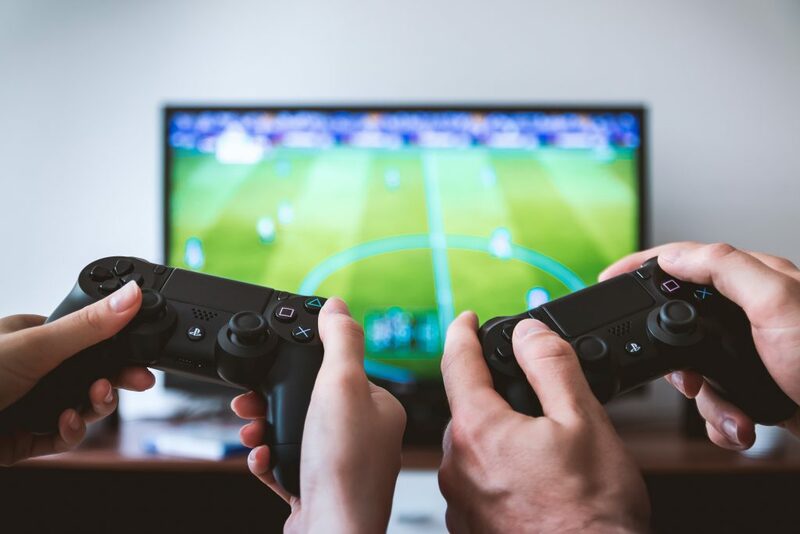 • For watching TV or gaming, children really need to wear blue blocking glasses and this of course also protects you from the blue light you will be getting from your overhead LED and fluorescent lights which are just as detrimental to your health. During the day amber coloured glasses are fine but at night you need red coloured glasses. • Once the sun has gone down limit the use of screens. 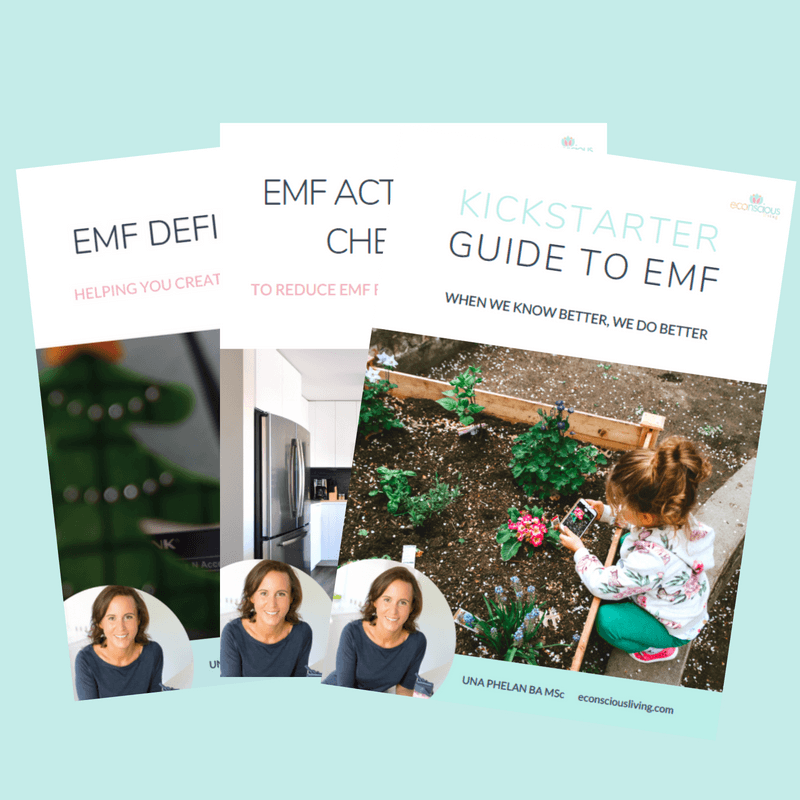 If you follow these steps and those from my previous blog on EMFs, you will dramatically reduce the health hazards associated with the use of screens and technology. Our children are vulnerable, let’s protect them as much as we can. For more posts about transitioning to a healthier home, subscribe to my newsletter below – you’ll also receive my Top 15 Healthy Home Tips!